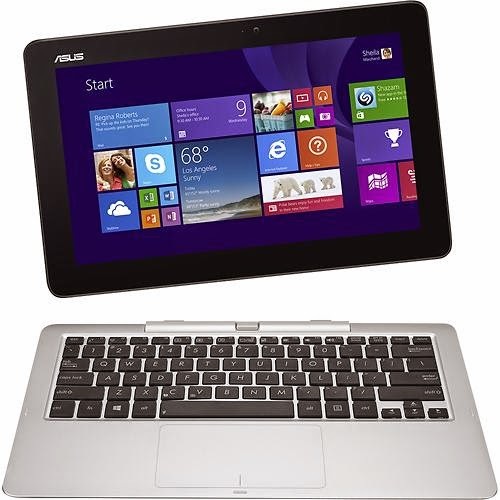 The Asus T200TA-B2-BL is a 2-in-1 tablet that features a 10 - point multitouch screen that can be detached from the full - size keyboard dock. It is packed with the processing power of Intel Atom processor Z3775 SoC. This Intel Atom Z3775 is a power efficient quad - core SoC (System on a Chip) for Windows and Android tablets. It has a base clock speed of 1.46 GHz which can increase up to 2.39 GHz. It is part of the Bay Trail-T platform and uses 22 nanometer technology. It has a PassMark score of 1335 points. Compared to other processor, it has almost the same performance as Intel Celeron N2820 with a rating of 1027 and Celeron 1019Y with a score of 1032. It has an integrated graphics controller dubbed Intel HD Graphics (Bay Trail) which is based on the Intel Gen7 architecture, which supports DirectX 11. With regards to screen display, it features 11.6 inch WXGA LED - backlit high - definition widescreen touch - screen display with IPS technology and a screen resolution of 1366 x 768. 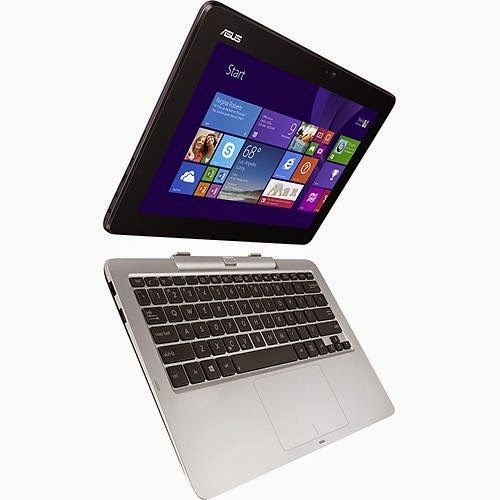 This Asus T200TA-B2-BL is a 2-in-1 tablet is also equipped with built - in 5.0 MP rear - facing and 2.0 MP front - facing webcams along with a microphone. 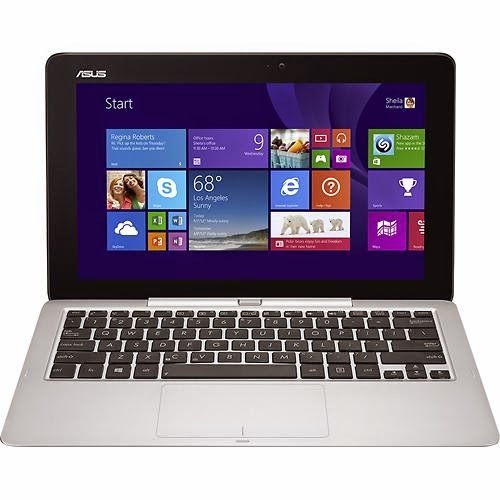 Regarding connectivity features, this Asus T200TA-B2-BL is a 2-in-1 tablet comes packed with Wi-Fi that supports 802.11 a / b / g / n technologies; Bluetooth 4.0 interface; 1 USB 3.0 port and 1 USB 2.0 port; and HDMI output port. 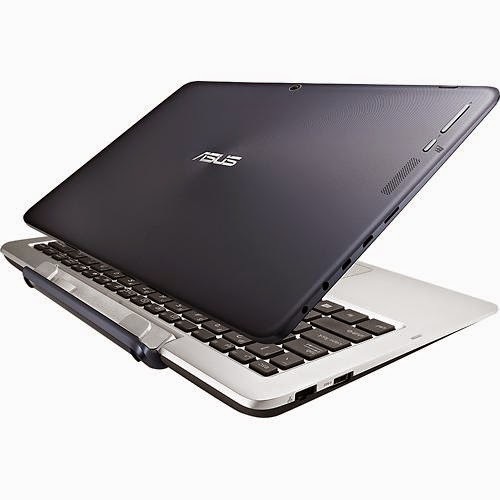 Other features of this Asus T200TA-B2-BL includes 32GB eMMC storage which can be expanded using the microSD cards; 2 GB LPDDR3 memory; and Lithium - polymer battery that has a capacity of 4840 mAh. It also offers 2-in-1 design that features a full - size keyboard dock that allows comfortable typing. 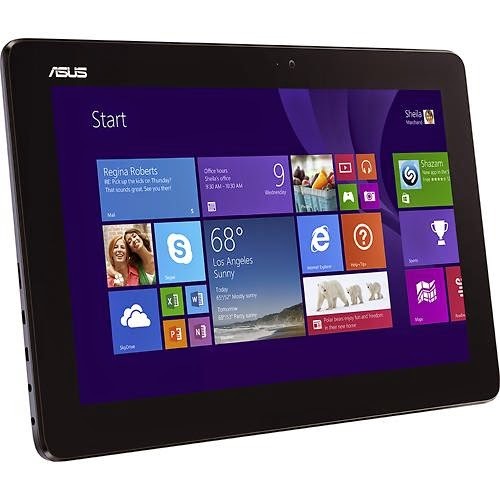 This Asus T200TA-B2-BL 2-in-1 tablet is powered by Windows 8.1 32-bit operating system. It weighs approximately 3.4 pounds and measures just 1 inch thin. You may get this computing device for the price of $ 399.99.